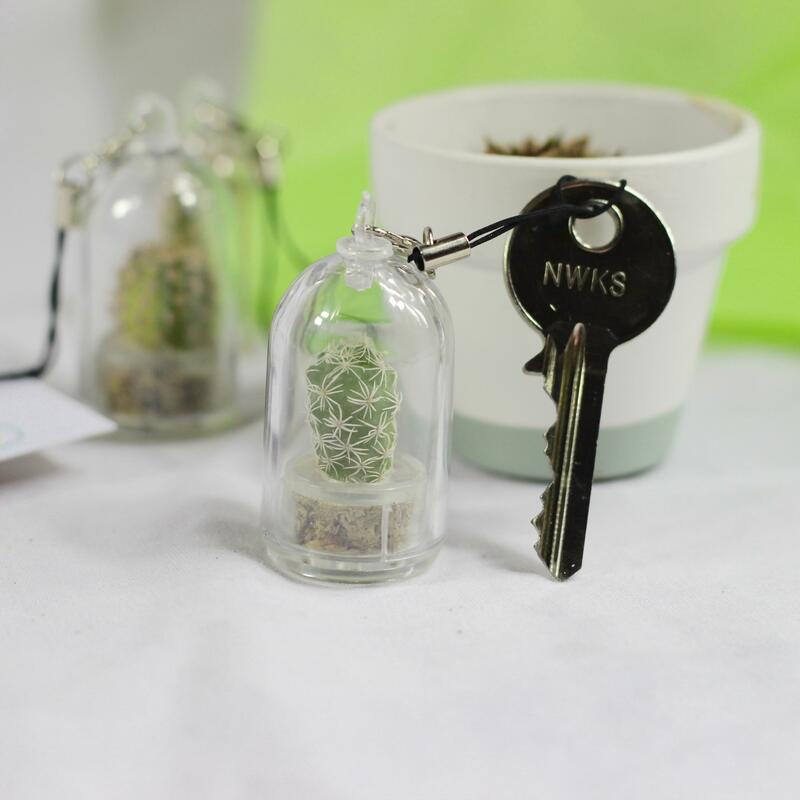 A mini terrarium keychain with a real plant which only requires watering once a month. 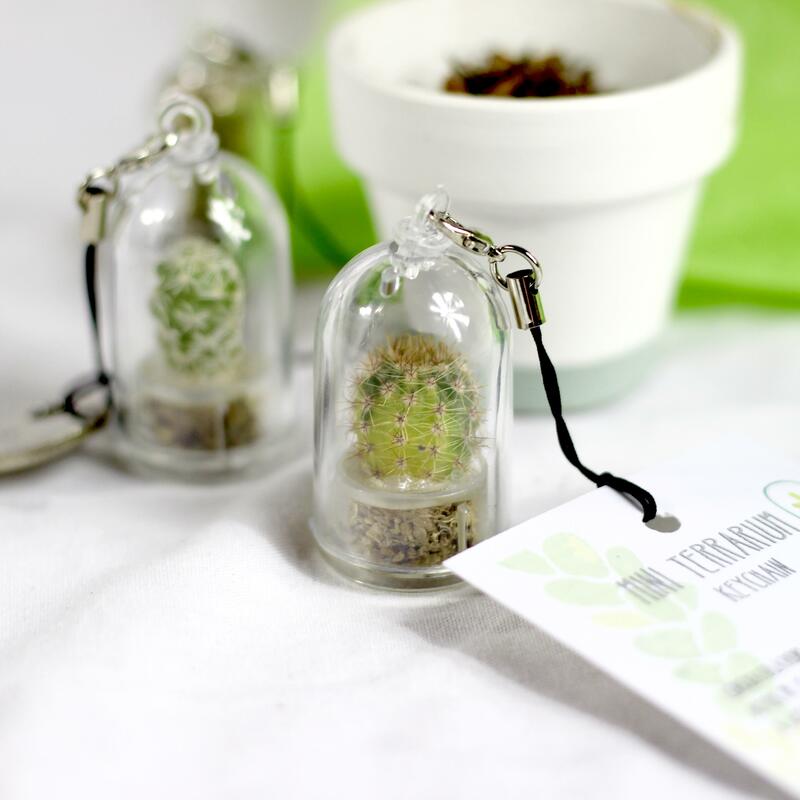 Take your plant with a personalised message around with you! If you have a plant loving friend who is just terrible and looking after their plants then this will be a great gift for them. 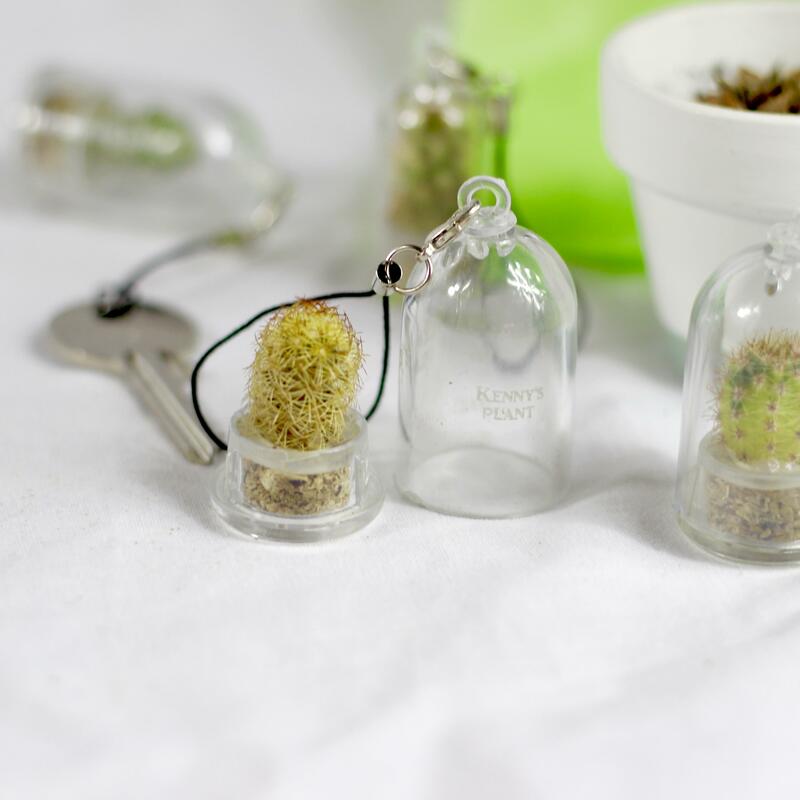 Cacti and airplants only need water every so often making this a cute and easy to look after gift. The keyring can be personalised on the shell with the recipient's name making it an extra personal present. Can be personalised with your name or message on the shell. Can choose between orange spike or white spike cactus.